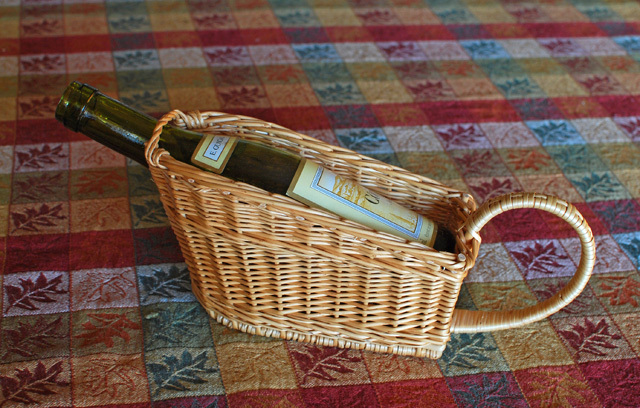 Katherine recently made some baskets for beer and wine bottles. 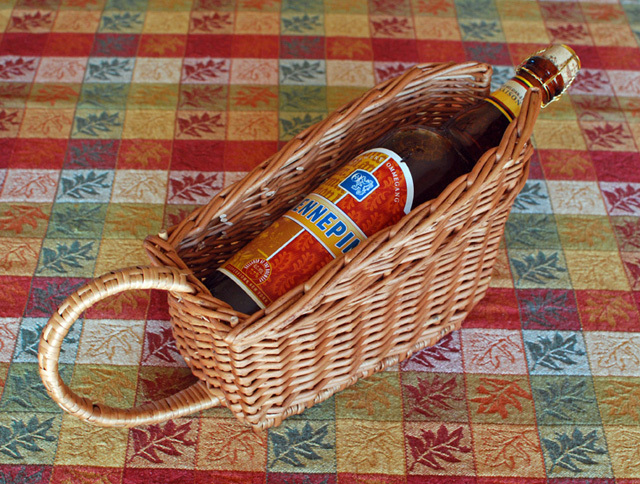 She was contacted by someone involved with an east coast beer distributor looking for a traditional wicker basket for pouring lambic beers. He sent along a couple of photos that were only a little helpful. 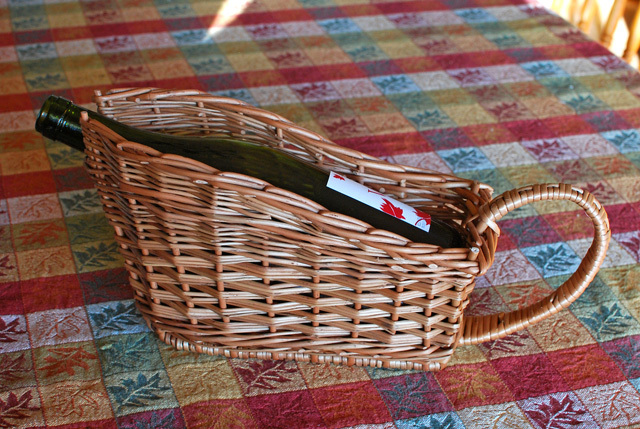 But the basket did seem very similar to wine bottle baskets Katherine had seen in France, and fortunately several years ago a friend had gifted her one of these baskets made in France at the Cooperative de Vannerie in Villaines-les-Rocher. She used this basket as the model for her baskets. She decided to weave two versions – one with a French randed side weave (photo above) and the other with a slewed side weave (photo below). The baskets came out quite nice, and the beer guy thought they looked great. But those Belgian ales aren’t cheap either and that’s where they’re putting their money for now. Here is a recent one made for a birthday present. P.S. : We are no longer making the bottle baskets. 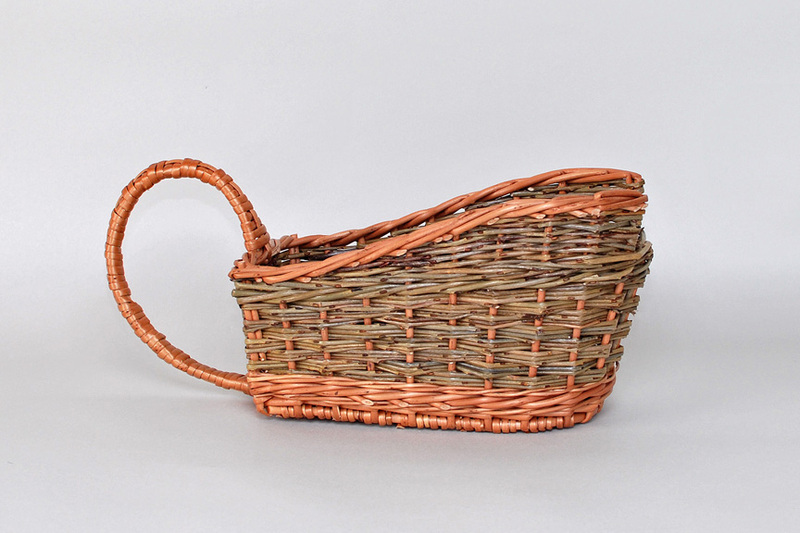 You can find inexpensive, made in China lambic baskets here: Handwerk baskets They look poorly made but might work for you at the price offered.